Each week, the folks at Impact Hub Birmingham host Food for Thought, aimed at feeding bellies and minds during the mid afternoon slump. We went along with a collection of Living Memory prints to speak about the project so far and invite reflections on some of the images. We received a warm welcome (as well as a cuppa and cake) and spoke about the aims of Living Memory, as well as talking about some specific collections, including photos of Bill Mansell and his travels overland to Australia, which have just been added to our website along with an account of his life by his niece. 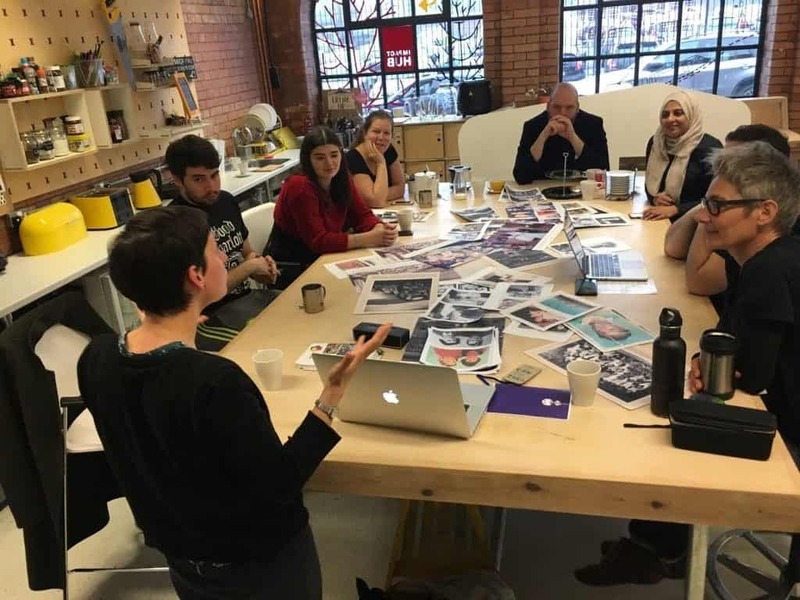 It is clear that the project has real resonance, both for people with connections to the Black Country, and for people with a more general interest in photography and life stories. 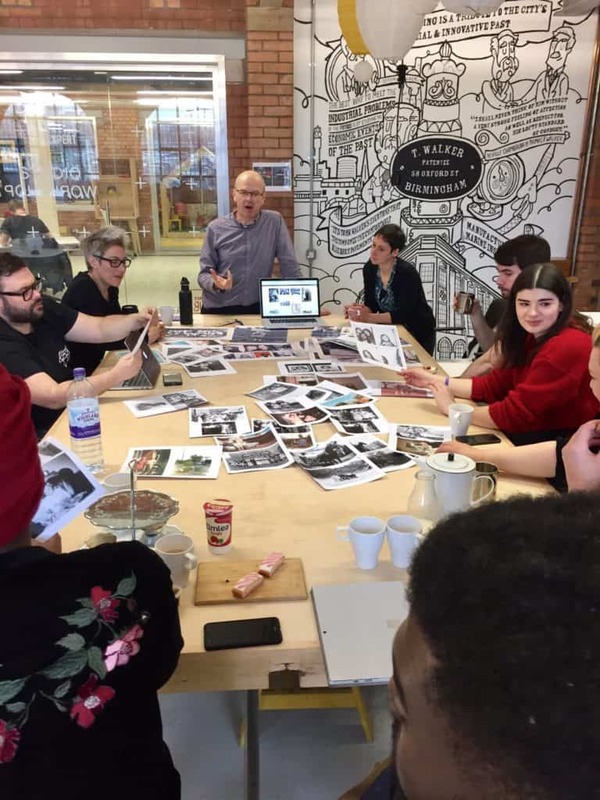 We spoke about some of the stereotypes around the Black Country, and how this project redresses the balance by allowing the public to share aspects of their lives, histories and experiences. We also identified how common themes emerge, that we can all relate to, really highlighting how we have 'more in common than that which divides us'. We also spoke more generally about our own photo collections and the need to preserve photos as artefacts in a digital age. We hope to return next year to update folks on the progress with the project. We will next be presenting the Living Memory project at the Central Library, West Bromwich on Tuesday 24th April at 10:30am. Come along to look at some of the collection and find out how you can get involved.